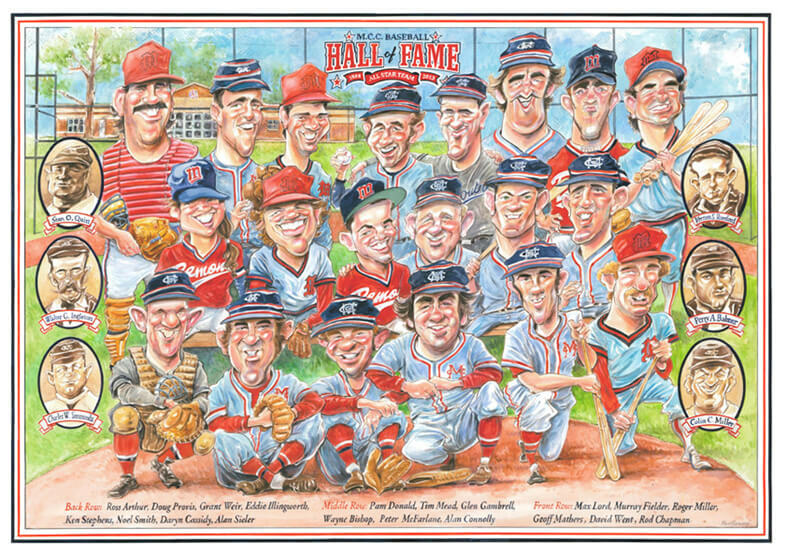 Harv is, undoubtedly, one of the most talented, diverse and accomplished illustrators in the country. 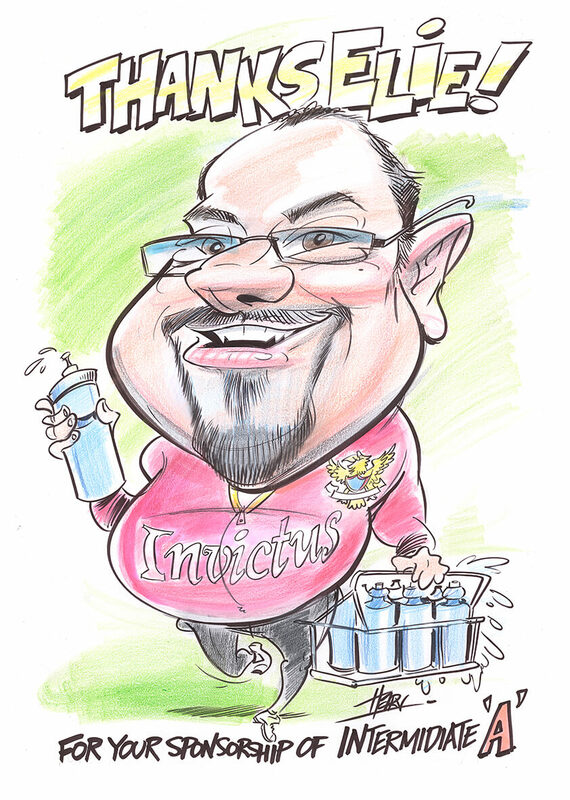 Harv has had work published in most newspapers and is a contributor to a diverse range of magazines. 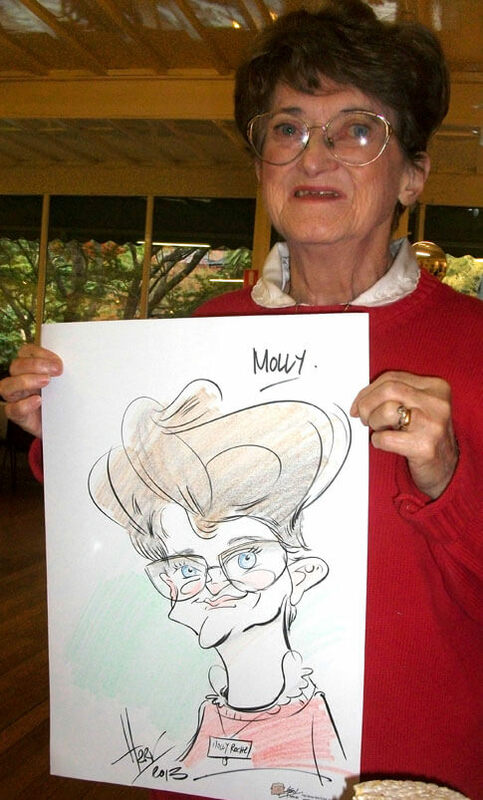 Harv is, undoubtedly, one of the most talented, diverse and accomplished illustrators in the country. 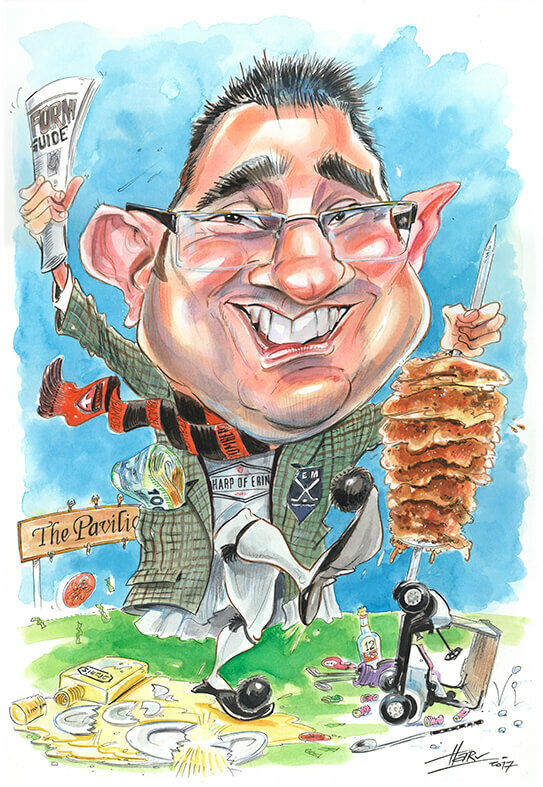 Harv has had work published in most newspapers and is a contributor to a diverse range of magazines. 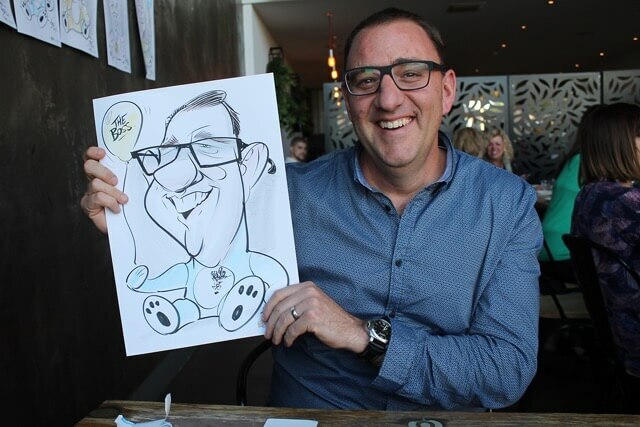 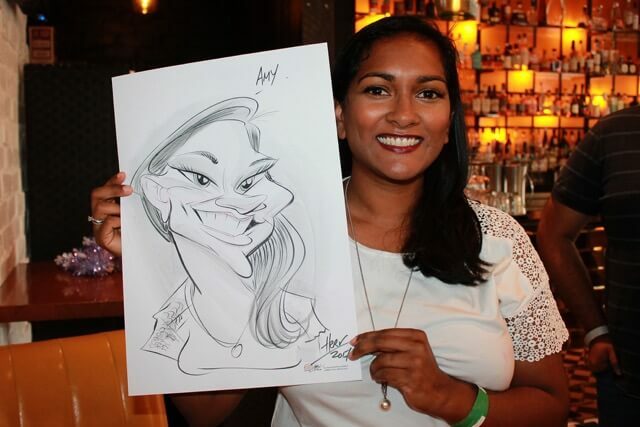 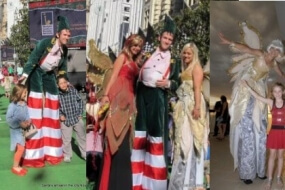 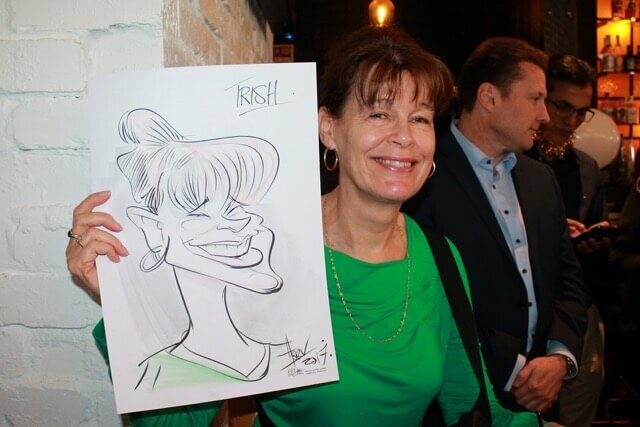 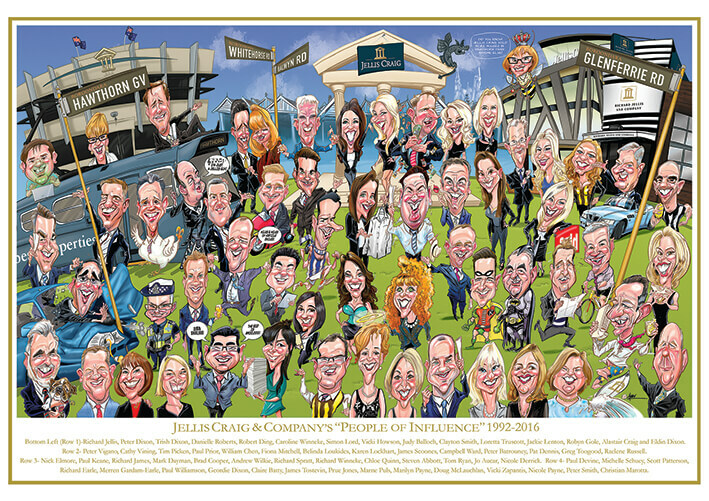 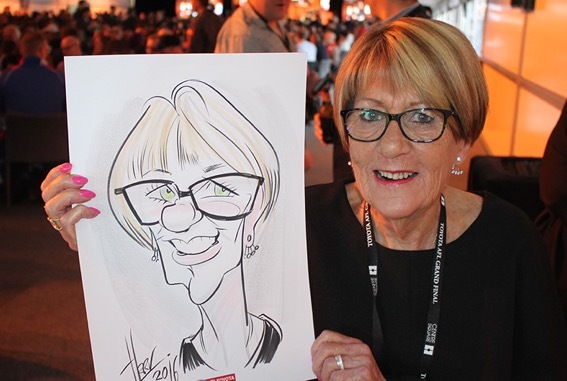 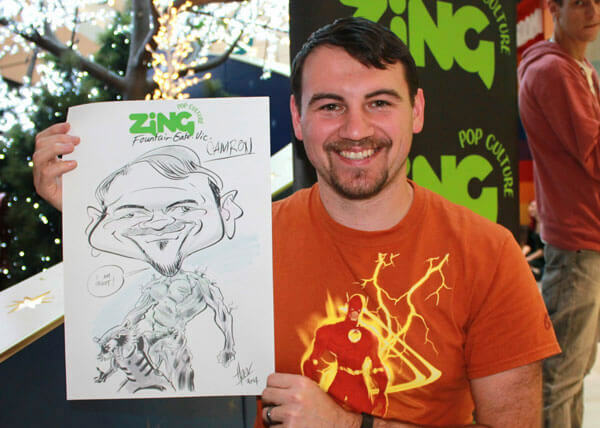 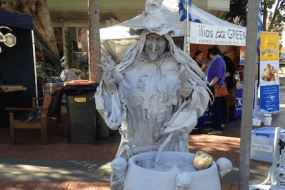 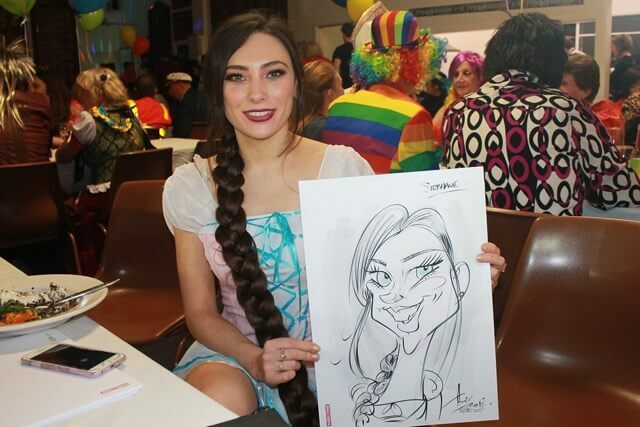 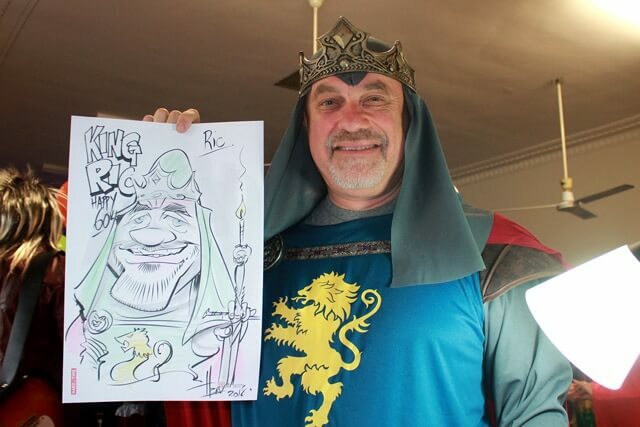 He is also busy illustrating for the corporate world and on the live caricature circuit where his speed, and spot on caricature astounds and entertain hundreds of people every year. 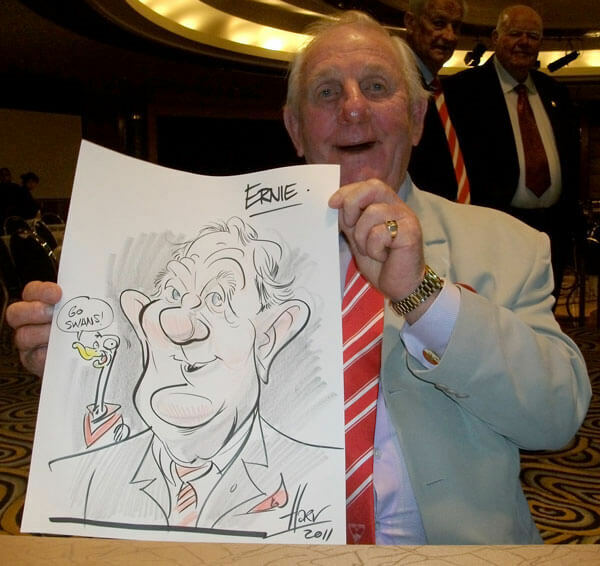 Harv has had many articles written about his work and appeared in stories on TV news bulletins, children’s and sport programs, at home and abroad. 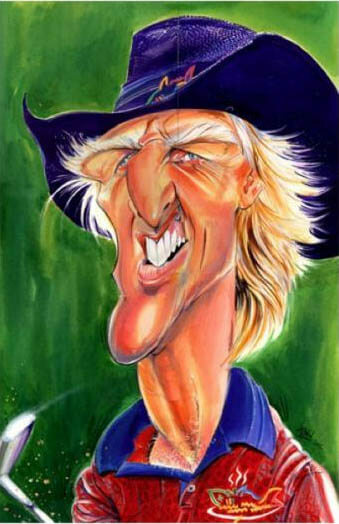 Harv is also the author of the Childrens’ books’ The Mighty Bunyips and ‘The Invincible Bunyips’ and is the illustrative genius behind The 36 Sportskids AFL titles, numerous sport biography and joke books and the recently released and best selling ‘Blokes’ Health’ and Blokes’ Health 2 with his mate, Dr.Bernie Crimmins. 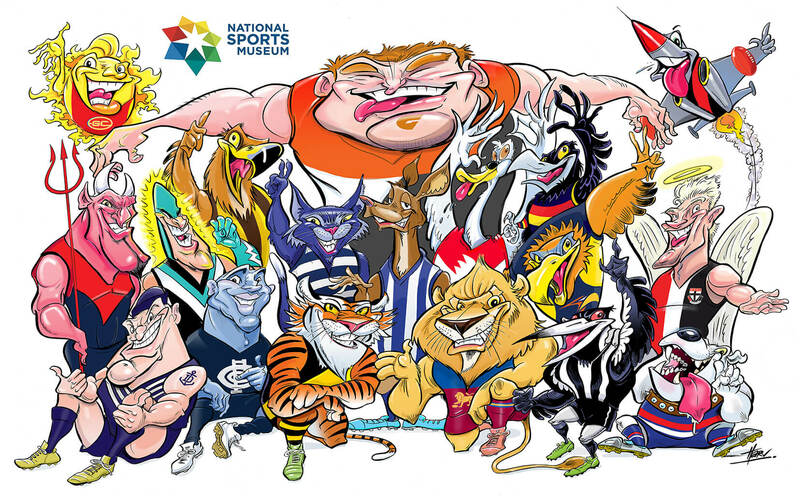 Harv has had a long, long working relationship with the AFL. 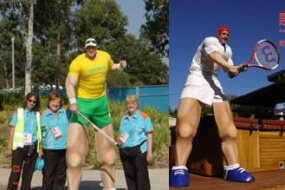 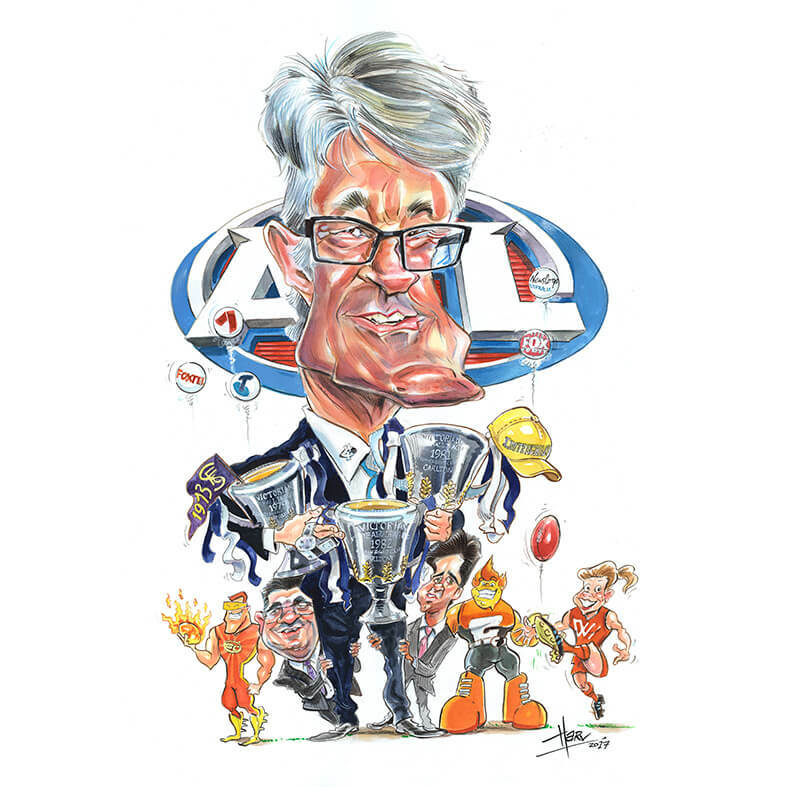 He has designed merchandise and on-field jumpers, on field mascots and club logos, caricatured major sponsors and retiring players, administrators and AFL CEOs. 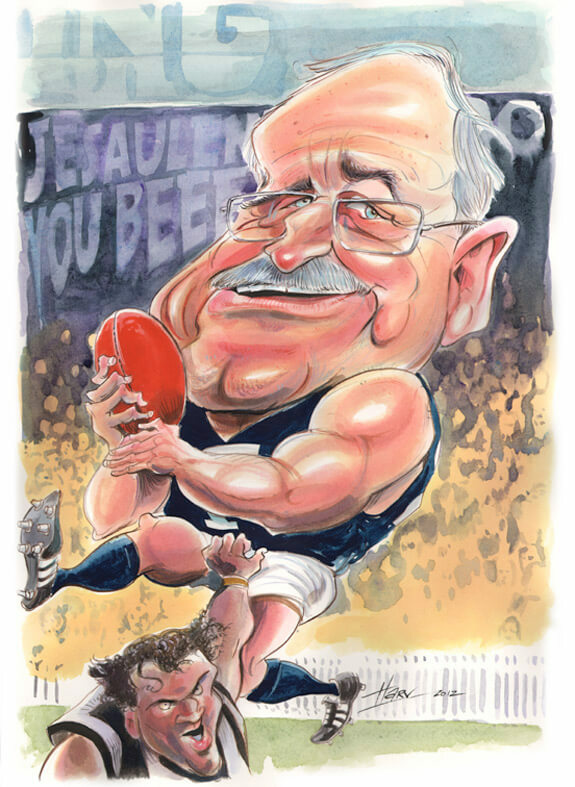 He even painted the ‘mark of the week’ for the footy record for two years. 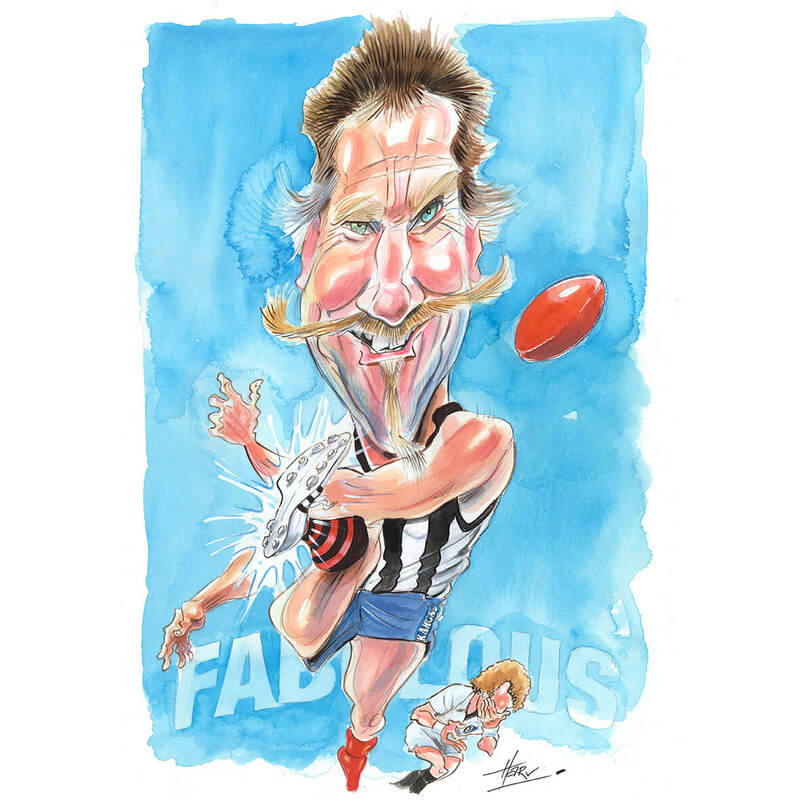 Harv illustrates an illuminated certificate for the AFL Brownlow medalist each year, the AFL Hall of Fame and has illustrated the Life Membership certificates for Melbourne and Collingwood. 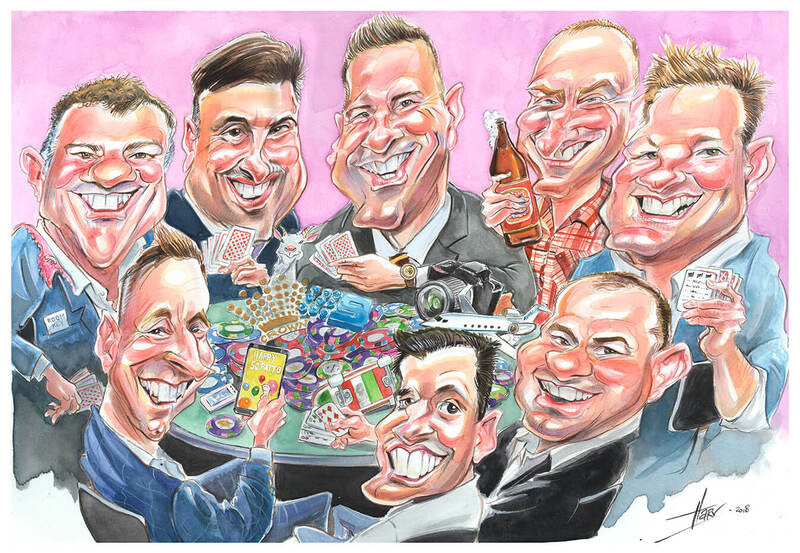 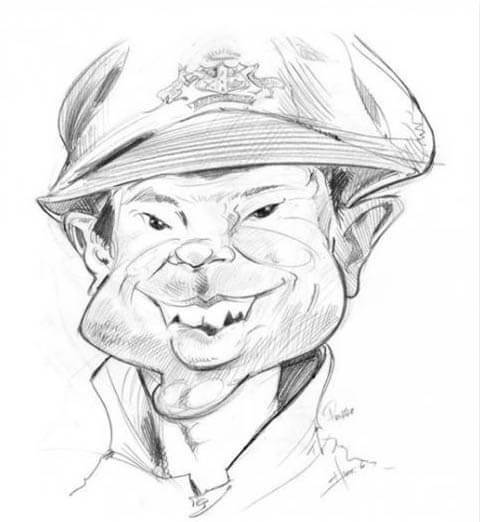 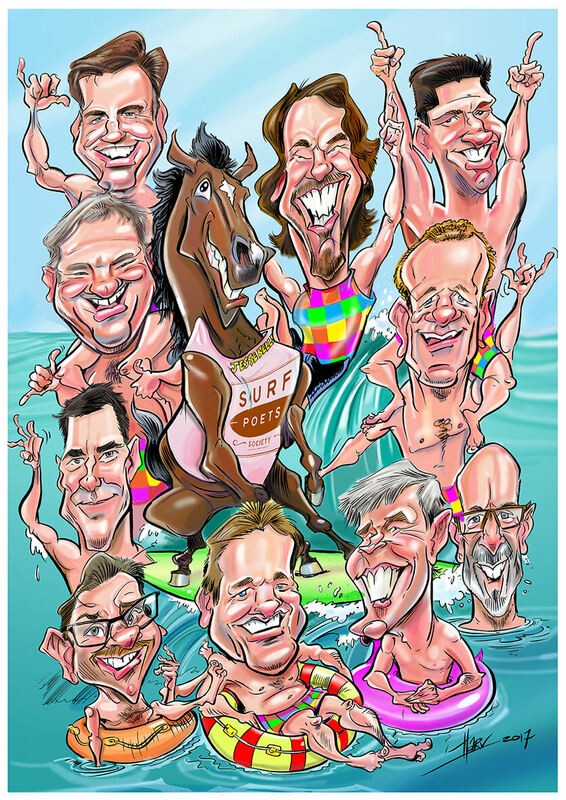 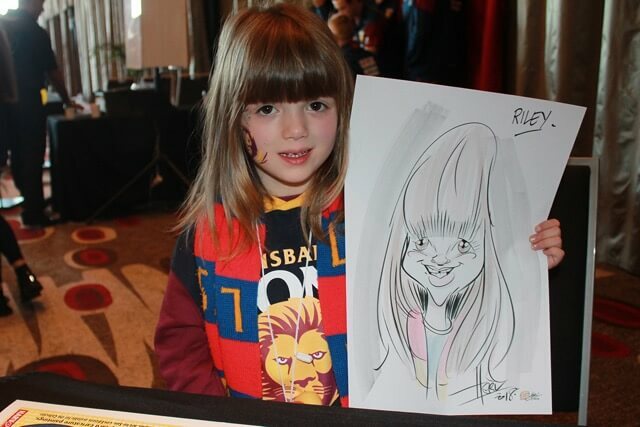 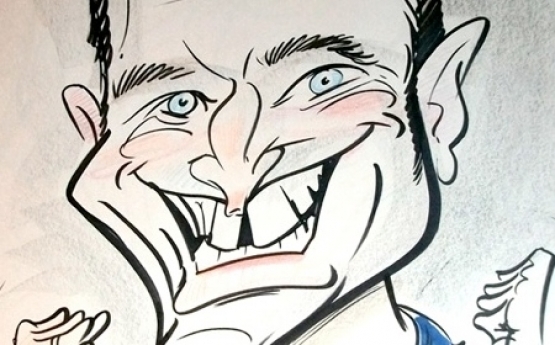 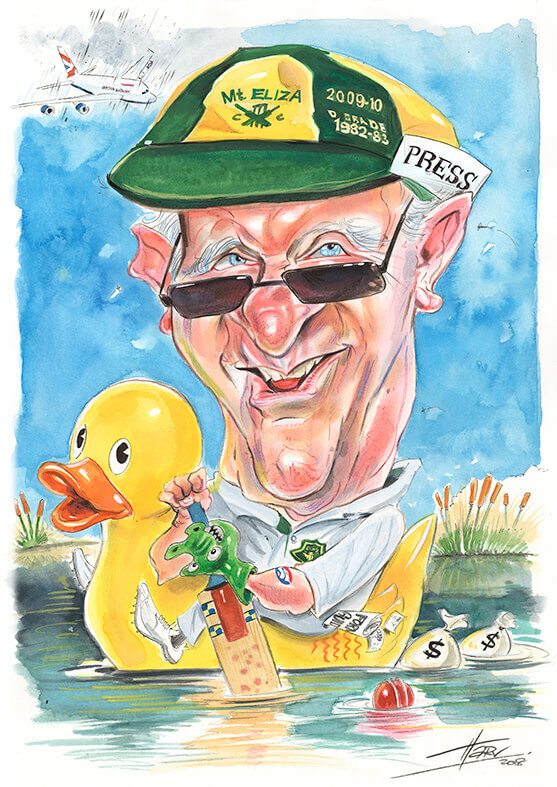 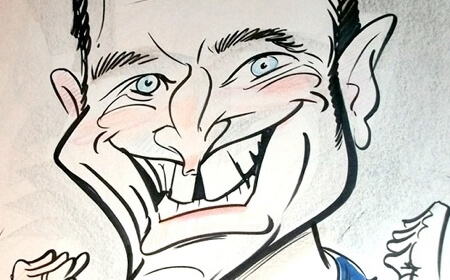 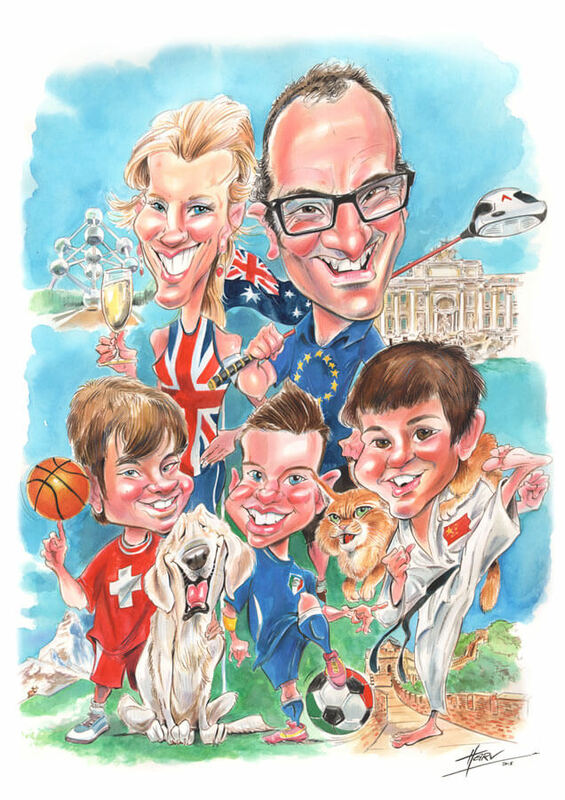 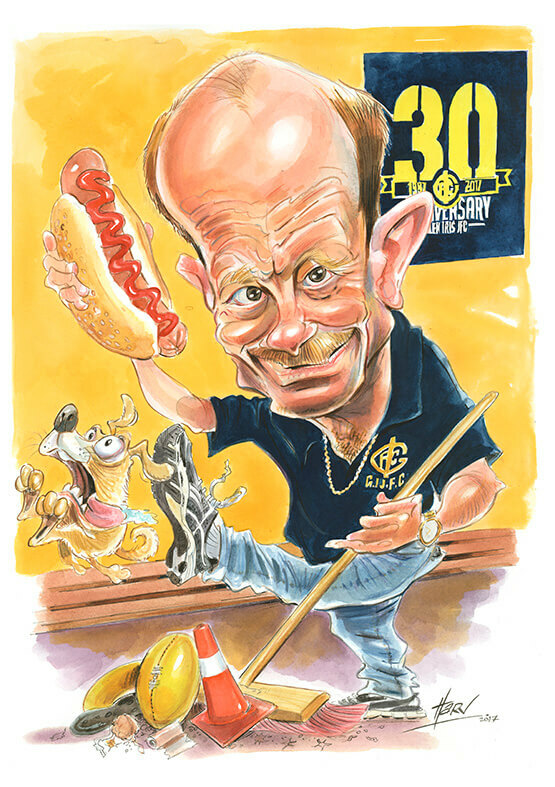 For the last seven years Harv has produced player caricatures for Select Footy Cards for years. 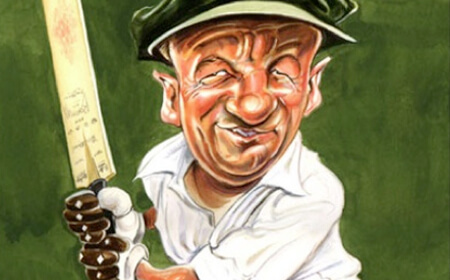 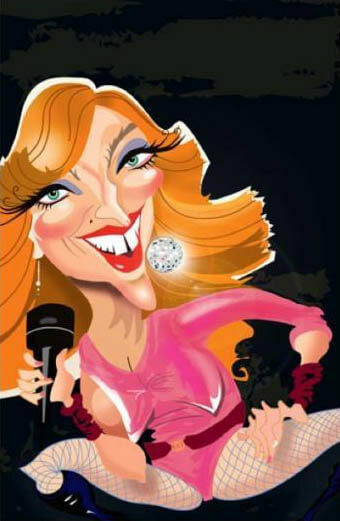 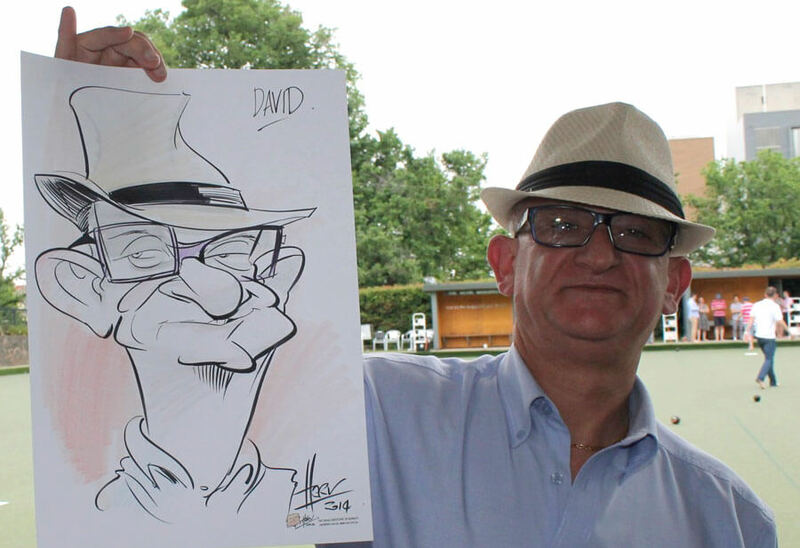 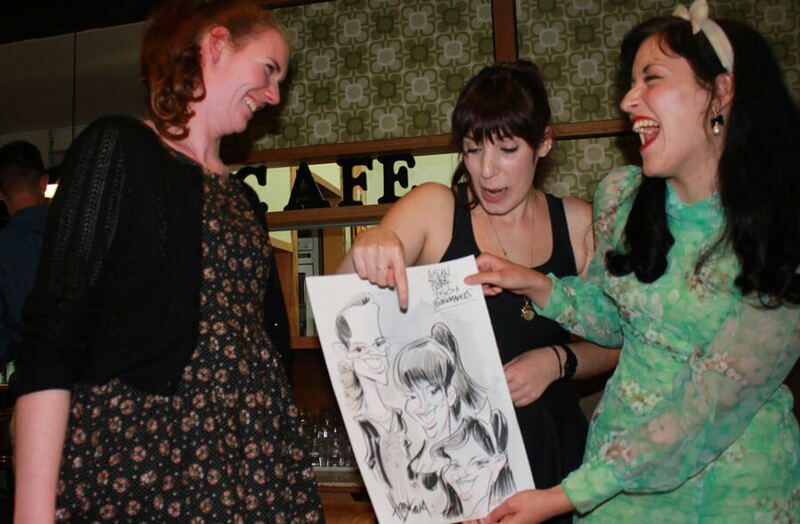 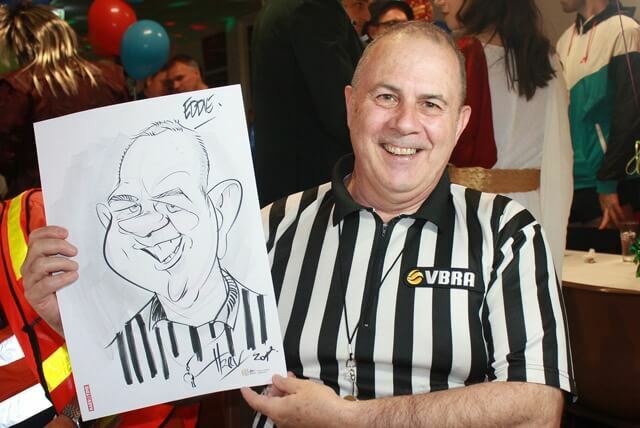 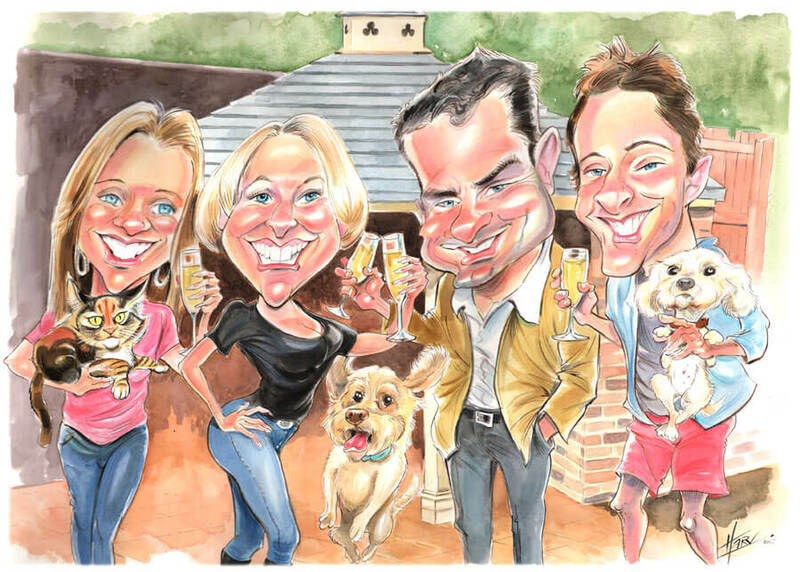 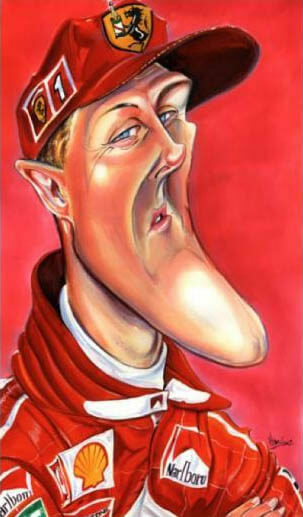 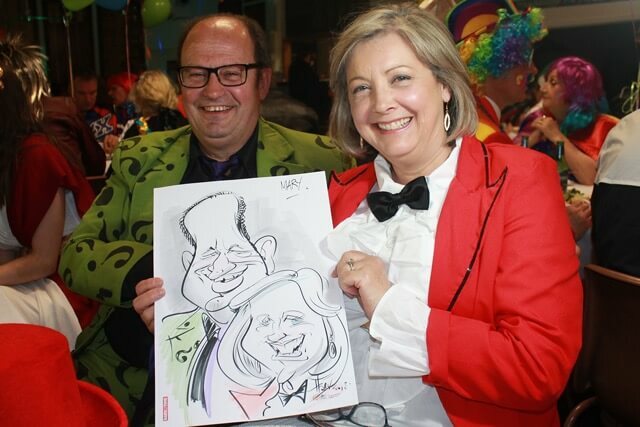 Harv would be a great addition to your event and perfect for a gift caricature.